Why Depend On A Store When You Can Harvest Your Own Vegetables & Fish? We are all on the road to self reliance in one form or another. So harvesting your own food with the right fish for aquaponics is the next step in this journey. Whether it’s meat or fish if you can raise and harvest it yourself with aquaponics supplies, then you’ve separated yourself in a big way. But is aquaculture & Aquaponics for everyone? 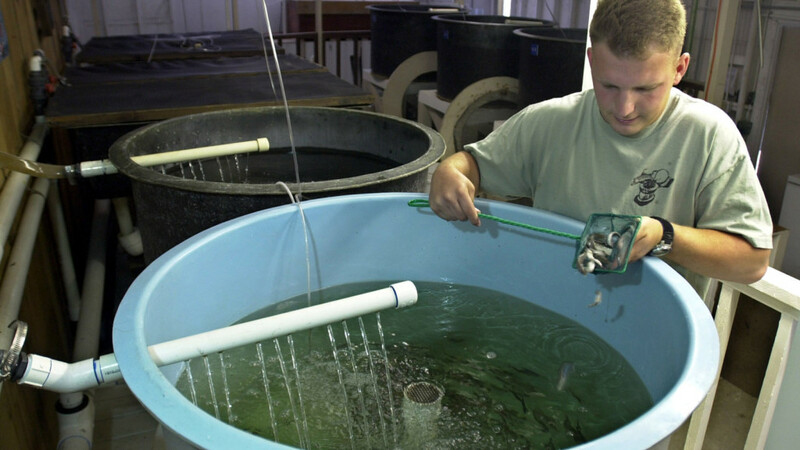 Simply put, it’s raising fish in a controlled environment to be harvested for food. This sounds kind of weird but it’s no different from having cattle on a ranch, but instead you have smaller cows in water with fins. Can also be used to raise plants, and fish together with benefits to both. One of the main benefits of aquaculture is that you can raise fish that live in salt and fresh water. All you need to do is set up two separate containers to raise the fish in. It’s as simple as having a pool of tilapia next to a pool of your choice salt water fish. Obviously don’t try to raise tuna in a domestic pool, but you get the idea, right? 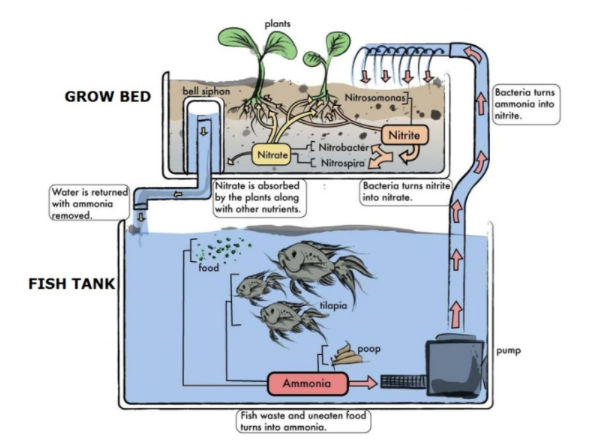 How Do You Set Up Your Aquaculture Tanks? Of course you’re going to need a container to raise your fish in. True, you can blow up a rubber pool in the backyard and hope to raise some fish that could feed a person or two. But for what most of us are wanting for our families we’re going to need something…. *dramatic voice* bigger. Once you have the container you’ll need a way to filter the water to ensure the fish’s health and a clean environment. Just like people, fish need a clean environment to grow up in without disease. If you raise diseased fish to eat don’t be surprised if you yourself become sick. So invest in a quality filter that will not only keep the water clean and circulaing, but also maintaining the temperature of the water. Most fish will require a water temperature of 70-90 degrees. Also don’t forget that these are real animals, and just like if you put 200 pigs in a 20’x20′ container you’ll get nasty almost dead pigs in the end. So don’t make this same mistake with your fish. Ensure that they have a clean environment and aren’t over crowded to the point of risking disease. As we said before, this isn’t a set it and forget it process. You’re dealing with living things and they will require care and attention to ensure they mature properly and you won’t be putting yourself or others at risk when eating the fish. A water pump and filter will help with this process, but additional cleaning measures will need to be taken. Also attention to the quality of food is a factor that you’ll need to embrace based on the fish you decide to raise in your aquaculture. You only want to clean your containers with water, don’t use soaps or detergents! Using these harsh chemicals will almost ensure problems in the future and lead to dead fish in one way or another. So just don’t do it alright. Also don’t add all of your fish at once. Fish certainly are durable creatures, but putting 100 fish together at one time is going to raise the level of stress to these fish and you’re going to have wasted money and time in the process. Instead add fish at a reasonable pace, this will be determined by your space and the fish you’re raising. Do your research in aqua culture. If you have a soul at all this might be the hardest part of the process of raising fish. But this is why you’ve raised the fish, and as long as you appreciate what they are and the process then not only will you have food but you’ll have an appreciation for the food as well. Now let’s get into the meat of harvesting the fish (leave a comment if you caught the pun ;)). How you choose to dispatch of the fish is up to you. Obviously you’ll want to treat them in a humane manor and not just drop a toaster in the container and pick them out. We recommend using a net to get the choice fish out, and you can club them if that’s your thing or whatever you deem most humane. What’s important is what you do with these fish after they’ve been harvested. It would be AMAZING if you had a freeze drier to preserve the meat and allow it to become a long lasting resource. Unless you are capable of eating fish for every. single. meal, it would be a good idea to either smoke it or freeze dry it. The tank and setup is going to be quite different from an aqua culture tank. First of all the fish will be under the plants in most setups, so if natural light is an issue for that breed of fish’s survival then you might want to choose another fish. Tilapia is a great fish to use when going the aquaponics route. 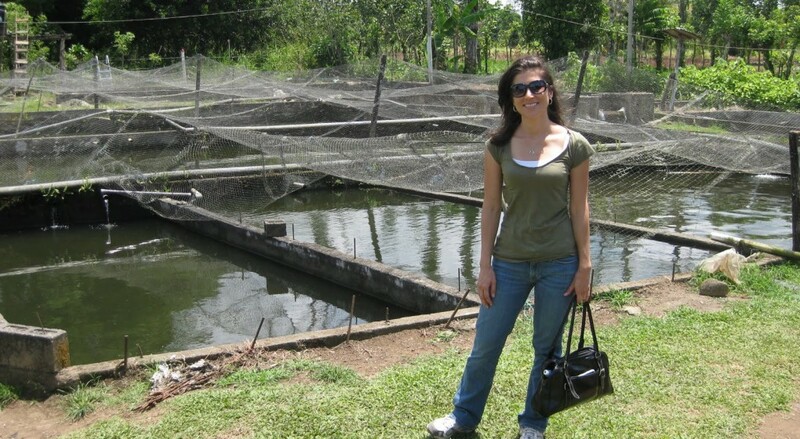 We will go over tilapia farming with aquaponics a little later. Here’s a diagram to illustrate how your tank should look. It won’t be exactly like this but you get the idea, right? You’ll need something to put the plants your growing into, and a simple rubbermaid bucket for planting usually does the trick. You can get more extravagant if you want, but there’s no need. This will be the soil for your plants, there are many choices depending on your gardening expertise. We recommend the Leca Clay Orchid, it’s cheap and is exactly what you need if you’re just starting out. And like we said, if you know what you’re doing then feel free to get something else. You could use an old fish tank and just set it under the rubber maid container with about a foot between the two, if you need to save money. If you can spring for something that will make yours and the fish’s lives easier, then we recommend the tutorial from backyardtilapia.com to make a quality fish tank the correct size. And when it’s this large you can stack multiple plant containers across it. These will be similar to any fish tank, any fish tank that’s comparable to the size of yours that is. Amazon should have some options for you in this department with hoses and pumps. A heater is needed to control water temperature. Fish need to be kept at specific temperatures to remain healthy and thrive. The heater selected will need to be completely submersed in water, so make sure that it is designed for that. There should also be a power light on the heater so that just a glance can tell you if it’s working properly. A water treatment kit is going to be an necessary piece of equipment for an aquaponics system to be Ph balanced. The testing kit will allow quick and efficient readings of nitrates, nitrites, ammonia, and ph levels of the tank water. This is a delicate system that requires constant monitoring so that everything remains in harmony. There are also buffers you can added to the water to maintain the right balance. Guide To Best Long Term Food Storage & A Free Long Term Food Storage List!